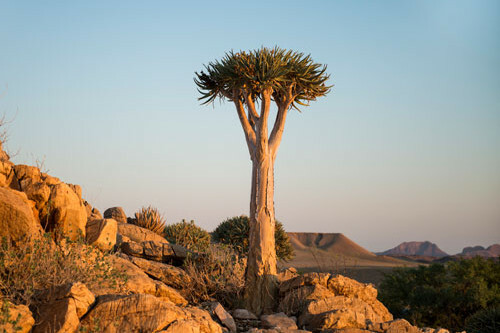 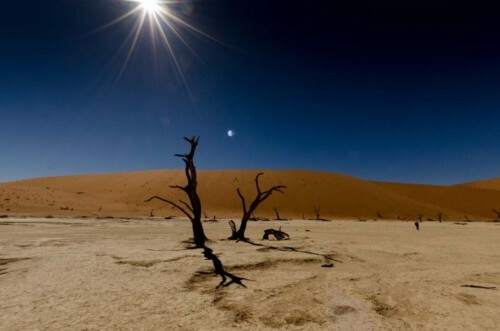 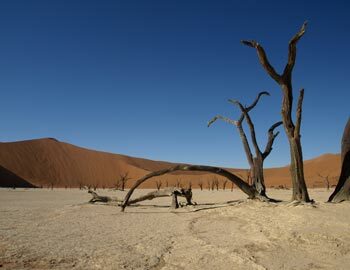 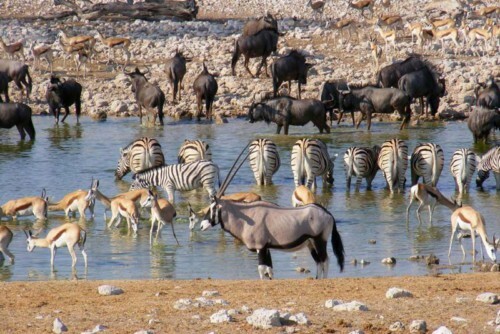 Namibia is known for her breath taking landscapes, wildlife utopias and unbelievable natural landmarks. 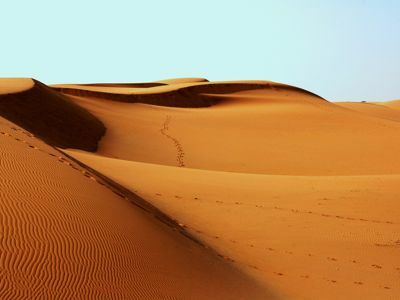 If you want to experience a true desert overland adventure, take a trip through this mighty country. 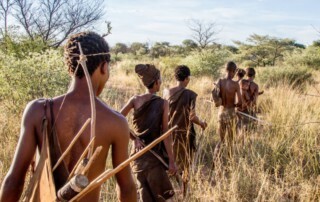 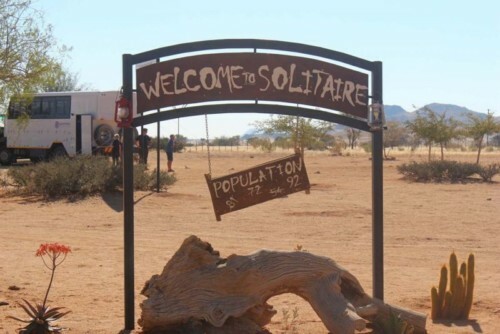 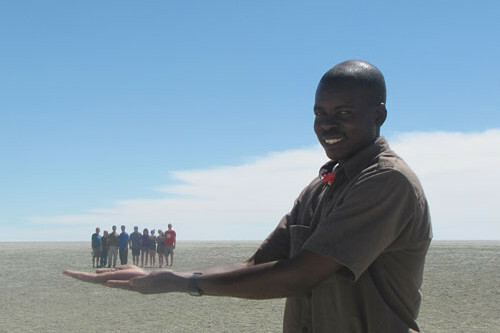 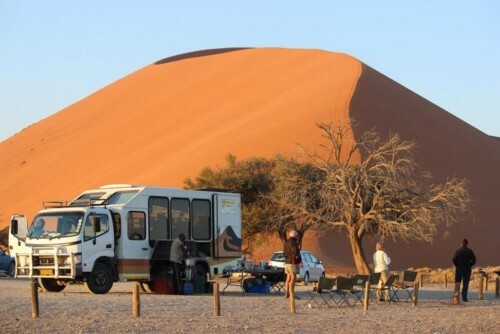 We offer both accommodated and camping budget tours in Namibia. 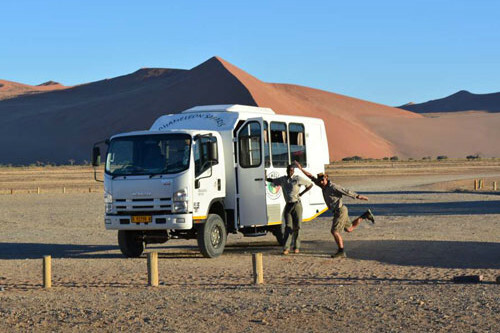 Trips can be done in Namibia alone or included in one of our multi country African overland tours. 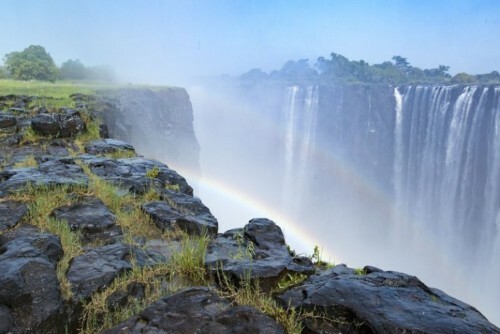 This massive natural structure is the 2nd largest canyon in the world, spanning over 160 kilometres. 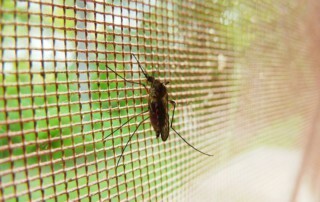 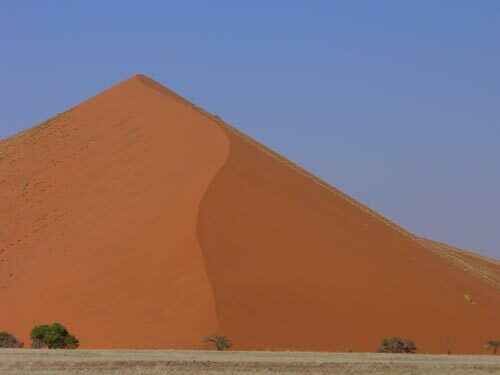 It can also reach up to 27 kilometres wide and 550 meters deep. 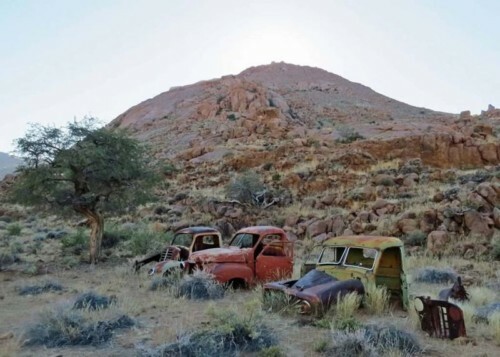 Staying here under the stars on one of our Namibia tours is truly a breath taking experience. 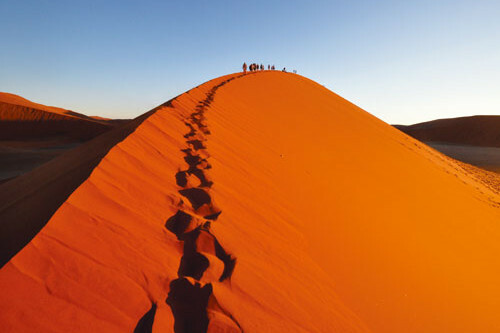 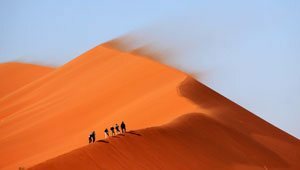 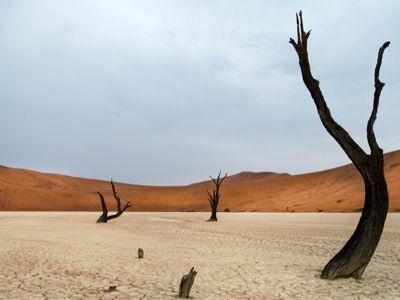 Further North you will come across the Namib desert, one of the world’s oldest deserts with some of the largest dunes you will ever see. 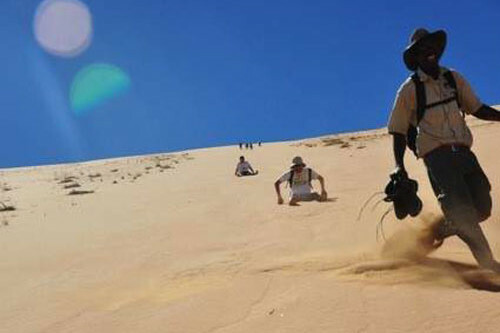 Adventure activities like sandboarding and quad biking are popular on the dunes from the coastal town of Swakopmund. 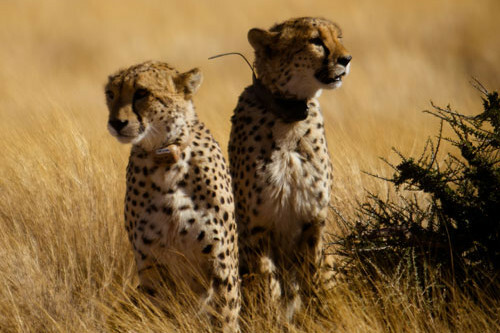 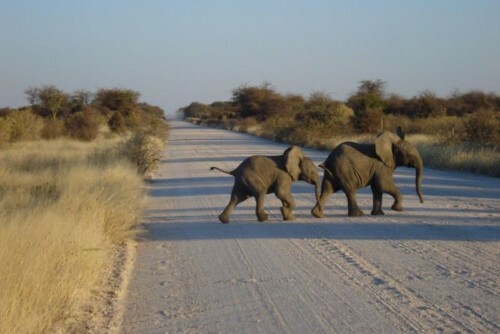 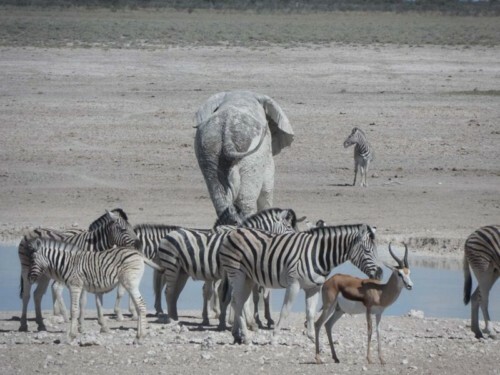 Etosha National Park is Namibia’s premier game viewing park. 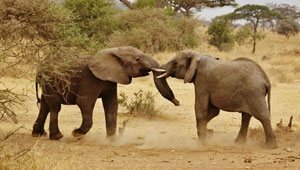 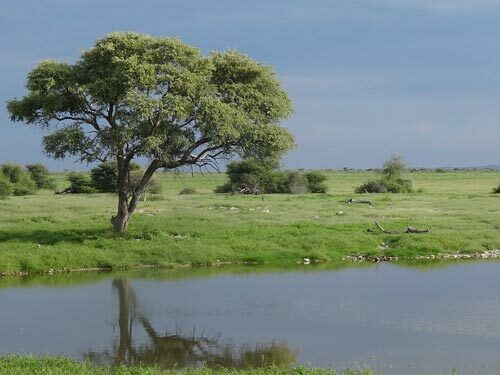 With an abundance of wildlife and the camps located right next to waterholes, overland tours through this park are sure to leave you wanting to return for another overland travel experience. 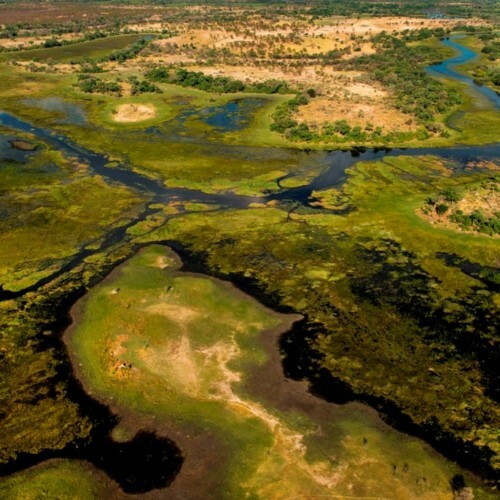 The Caprivi strip is a long thin section of Namibia that runs between the Botswanan and Angolan borders, right up to Zambia. 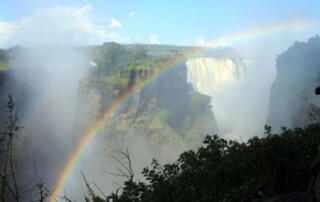 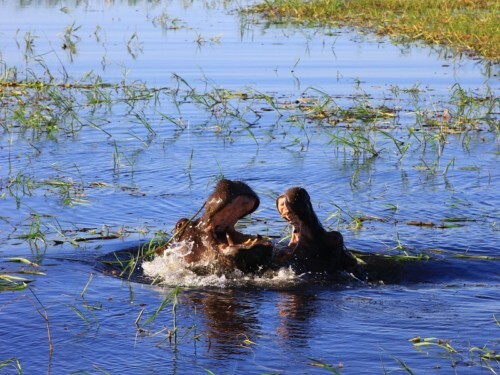 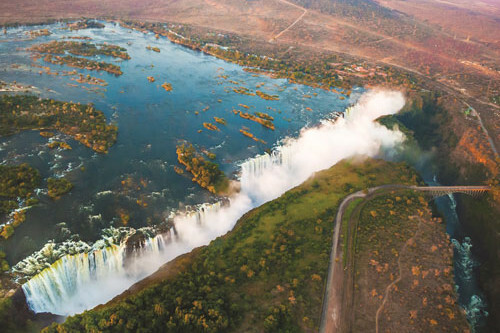 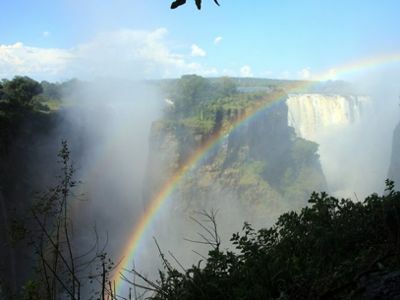 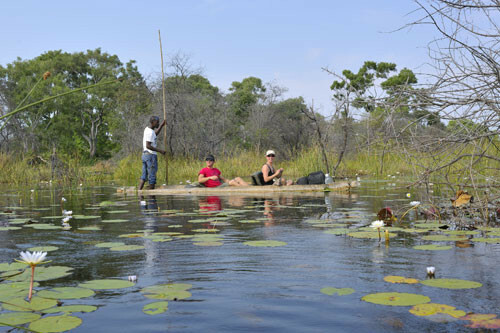 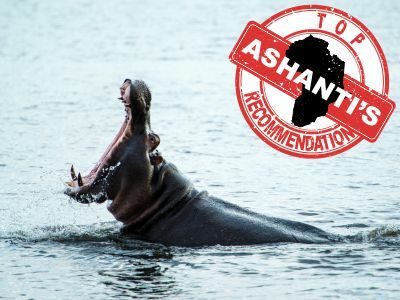 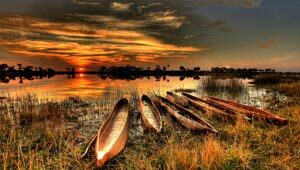 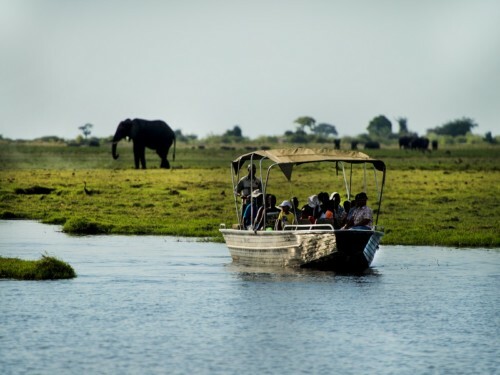 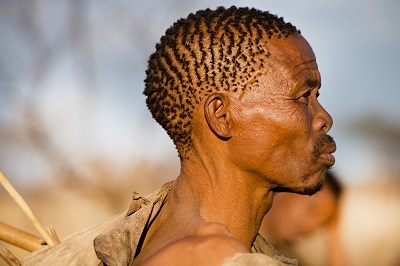 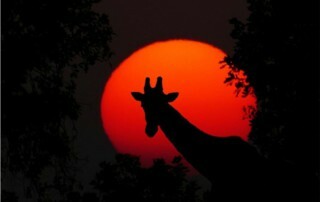 It is bordered by the Okavango, Kwando, Chobe and Zambezi rivers. 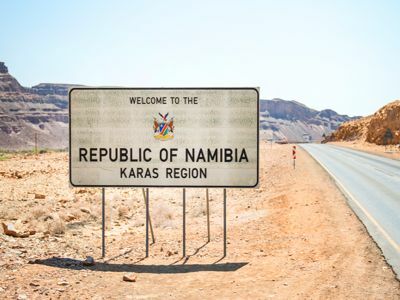 From sand dunes, to ghost towns, to canyons, there are so many ways to tour Namibia, and the best part is, you don’t have to break the bank to enjoy all the country has to offer. 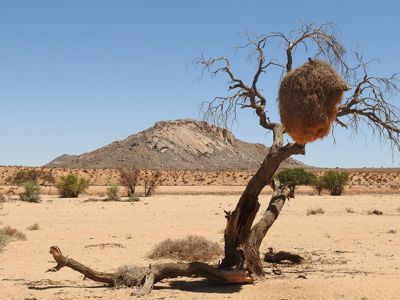 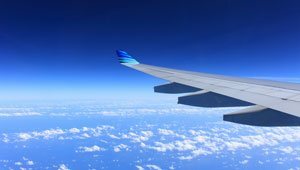 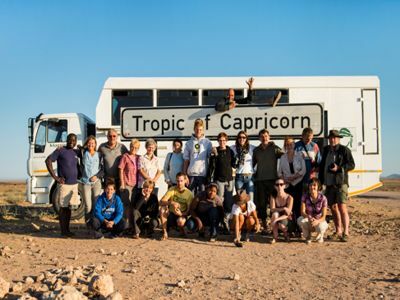 So take a look through our related tours below or explore specific regions to find tours and safaris exploring all the natural wonders of one of the oldest deserts in the world. 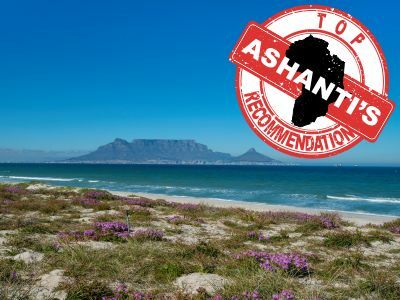 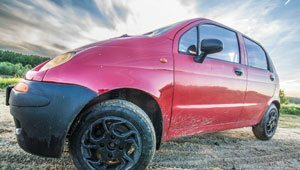 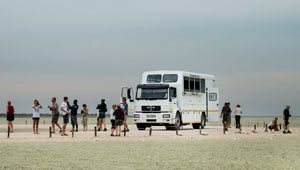 Read more below about the great adventure overland’s and budget safaris that we have on offer in the largest salt pan in Africa and Namibia’s flagship game reserve, Etosha National Park. 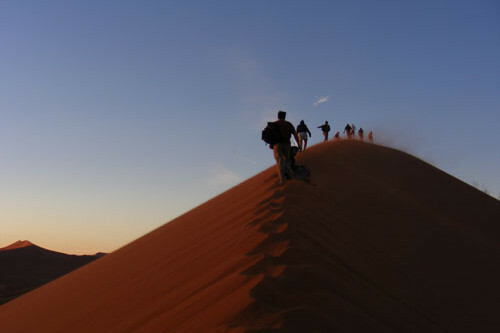 Experience the towering dunes and endless oceans of sand in the oldest desert in the world. 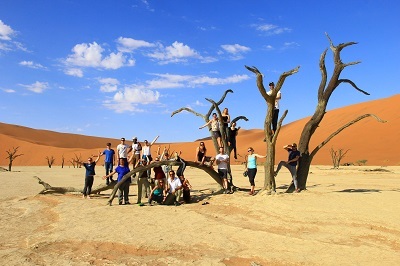 Sossusvlei overland tour and adventure activities are definitely one for the bucket list. 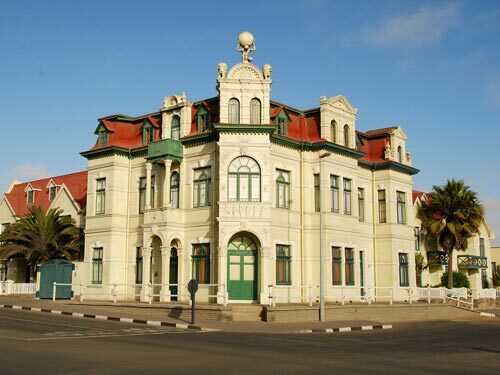 Experience rich culture, relaxation, and adrenalin activities, all available on our overland and adventure tours that run through the seaside town of Swakopmund. 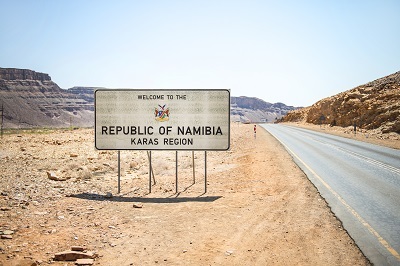 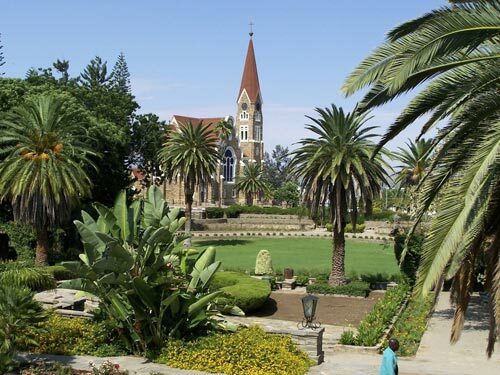 Namibia’s capital city and the start of many overland or adventure activities. 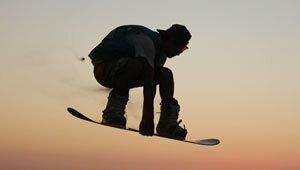 Read more about what we have to offer you from the “windy corner”.